Cloud computing is the latest and greatest way for small businesses to store and host data and applications. With so many companies making the switch to the cloud, it’s probably time your business considered changing as well – you’ll reap plenty of rewards from the cloud’s security, convenience, and usability. If you’re considering the switch to cloud, or if you’re still wondering how people are storing their data in giant vaporous formations in the sky, there are a few things you need to know. 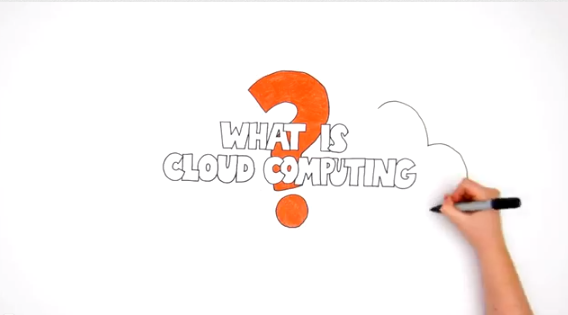 Here are the top five things you probably didn’t know about cloud computing. For all the cloud’s innovation and its benefits to businesses and technology hubs in general, it’s easy to just accept the name as is – but have you ever wondered why it’s called cloud computing? After all, your data doesn’t come down from the sky in the form of raindrops or lightning bolts. Cloud computing actually holds its origins in a symbol. Traditionally, when the internet is drawn on IT or network diagrams, it is represented as a cloud; since cloud computing features data stored via a remote server that is accessed with an ethernet cable, the cloud uses the internet as a way for you to access your data. Cloud computing is all done via the internet and your information isn’t stored on-site at your business – instead, it’s stored in a data centre of your choosing. Because all your data and applications are hosted in this data centre, it’s imperative that you have a good data centre otherwise all of your company’s information could be endangered. Choose a centre with a good location, helpful support services, and ample security measures in place. If you’ve ever tried to Google cloud computing or cloud hosting, you have probably had a nasty shock: there are a multitude of different acronyms, abbreviations, and jargon. A few common ones are IaaS, PaaS, and SaaS, but don’t panic – they aren’t as confusing as they seem. The IaaS stands for Infrastructure as a Service, and is integral to cloud computing. Instead of your infrastructure being built on-site at your business, it is built in as a part of the service the data centre provides to you. PaaS stands for Platform as a Service, and enables you to run platforms from remote networks; SaaS, or Software as a Service, does the same thing with your software. It may be common knowledge or it may not, but a good internet connection is integral to cloud computing. If your business has an internet connection that consistently drops in and out, or can behave temperamentally, you may struggle to access your data from time to time – and this can be incredibly frustrating. You can get cloud hosting that operates in offline modes, but many that you may be familiar with will operate via the internet. Like your internet service provider or your mobile phone network, cloud hosting offers a range of different options, add-ons, upgrades, and hidden costs. Make sure to have a conversation with a few companies to ensure you get the best deals and support networks for your business needs. Luke Waterhouse is a freelance writer who wants to open up his own small business – when he does, he’ll be putting his data on the cloud for sure. Previous Previous post: What do Effective Branding Campaigns and Great Mystery Novels Have In Common?